Paperback (20,5 x 14,0 cm), 116 Seiten. In 1833 Prince Mongkut found a remarkable inscription, reputedly written in the year 1292. When the text was finally deciphered it revealed the existence of an ideal state, ruled from the town of Sukhothai by a wise and devout king, named Ram Khamhaeng. 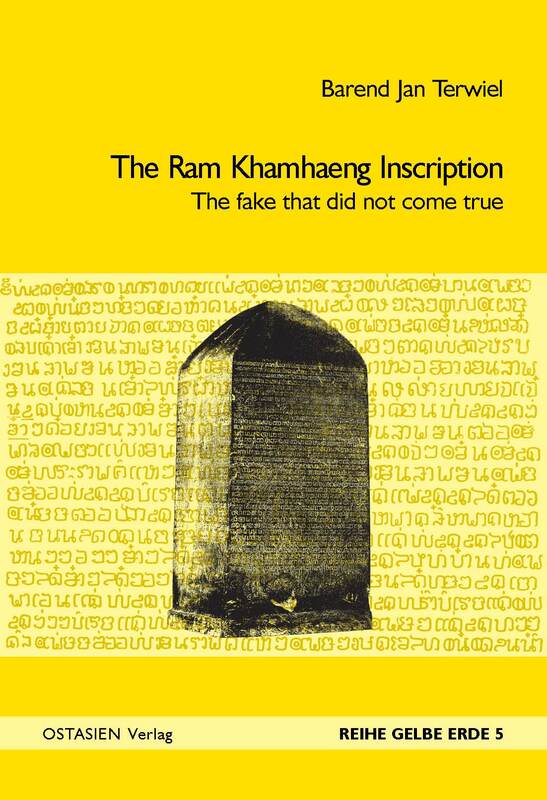 This inscription has long been regarded as Thailand's most important historical document. It came therefore as a shock when in the late 1980s two renowned scholars announced that they had proof that the inscription was a recent fabrication. From that moment on the authenticity of the inscription was fiercely debated, and up to the present there are some who consider the matter to be unresolved. Terwiel, who has taken part in the debate from the outset, presents some novel ideas and interpretations as a contribution to the closure of the debate. At the end of this booklet the inscription is presented line by line, transcribed and with a fresh translation.